Apple Pay vs. Android Pay: What's Ahead? Apple Pay vs. Android Pay: What’s Ahead? The annual Google (NASDAQ: GOOGL) I/O Conference is meant for the software developers who work with Google’s products. In reality, the market views the conference as one of the year’s best opportunities to see what Google is up to. 2015’s Google I/O conference certainly didn’t disappoint. One of the more important takeaways from this year’s conference is the announcement of mobile payments system Android Pay, a clear response to Apple’s (NASDAQ: AAPL) Apple Pay. This sets the stage for what most think will be an epic battle between Google and Apple for your transaction business. In reality, I don’t think the battle over mobile payments will be fought between Google and Apple. In fact, I think these two players will thrive in each of their respective markets, using their own ecosystems to fend off attacks from smaller and less-established mobile payment systems. Considering the success and fanfare of Apple Pay’s launch, it was only a matter of time before Google hit back. Interestingly, this is yet another industry in which Apple was late to the party but showed up with a product better than anyone else’s. This is the exact storyline we saw when Apple introduced the iPod. Though it wasn’t the first MP3 player, it was regarded as the best and was bolstered by the powerful iTunes Store and iTunes file management system. Apple followed the same recipe for success when it introduced the iPhone, iPad and even the recent Apple Watch. Apple certainly wasn’t the first to market but it benefitted from the extra time it took to enter each market by studying competing products and incorporating the best while ditching the rest. Google launched Google Wallet in 2011. Even four years ago, Google Wallet ran on the exact same near-field communication – NFC – tap-to-pay system that Apple Pay now uses. Google laid the groundwork for Apple Pay, convincing many merchants to invest in the new point-of-sale systems necessary to run the system. For years Apple resisted adding NFC chips to its iPhones. That changed with its release of the iPhone 6 and iPhone 6 Plus. Apple picked up where Google left off with Google Wallet, making sure that by the time Apple Pay launched there were more than 200,000 places to use it. I have to imagine that when Google engineers watched the Apple Pay announcement they thought, “Hey, we did that.” And they would have been right, for the most part. But no one can argue that Google Wallet’s success has equaled even the early success of Apple Pay. 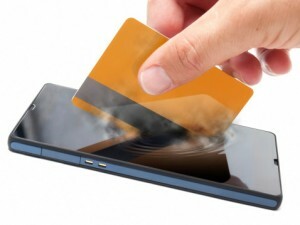 It’s not too surprising, then, that Google is reintroducing its mobile payments offering. Google brought mobile payments to the masses with Google Wallet. Apple made it cool with Apple Pay. Now Google is back with Android Pay, which bears a striking resemblance to Apple Pay. Google has said it will keep Google Wallet around, as it will become Google’s peer-to-peer payments system while Android Pay will serve as the tap-to-pay platform equivalent to Apple Pay. Trying to sort out who will win between Apple Pay and Android Pay misses the point. In reality, they don’t usually compete with each other. Android Pay is only available to people with an Android device. Similarly, Apple Pay is only available to iOS users. Typically, an individual uses one or the other. I think each mobile payment platform will thrive in its respective market, leveraging seamless integration with its own hardware to dominate competition from threats like eBay’s (NASDAQ: EBAY) PayPal. Don’t stress over who will win between Android Pay and Apple Pay. In reality, each service will almost certainly dominate its addressable market. DISCLOSURE: I personally own shares of Apple. On Friday, April 24th, the Apple Watch finally became available. And if history is any guide, it’s going to catapult Apple even higher—as did the iPod, iPhone and iPad before it. Now, Apple would prefer you didn’t know this…but there’s another company that’s destined to soar even higher because of the Apple Watch. Apple has long tried to keep it a secret. But you can discover it right here. Interest Rates Rising: Do You Own the Right Stocks? Stocks Get Crushed: What Should You Do?